The School District of Philadelphia on North Broad Street. I was not nominated for a position on the new Philadelphia School Board. I was not even interviewed by the school board nominating panel. When one has criticized "Godfather" tactics in school decision-making and even offered an opinion piece that calls out Superintendent Hite’s big but, one does not expect to be asked to be on the board overseeing public education. Still, I was happy to have been suggested as a member by friends and was pleased to offer my services. In the fall of 1981, I often rode my bike to Rhawnhurst Elementary School, anxious to see my favorite teachers. I never even had to enter the building to find them. They were walking a picket line on the sidewalk of Castor Avenue. Philadelphia public school teachers were on strike and I had no school – for 50 days. In perpetual financial distress for my entire lifetime, the School District of Philadelphia has lurched from crisis to crisis. Caught in the middle, students and families suffer. 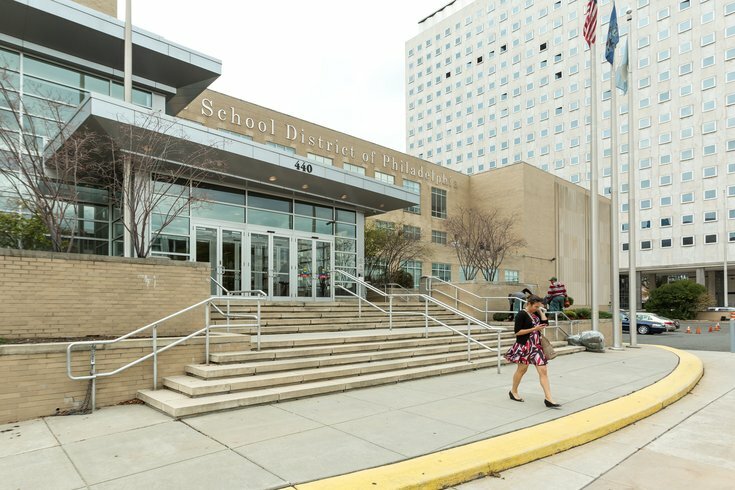 As Philadelphians contemplate a future where the responsibility for administering the system of public education returns to local control, it is critical to provide leadership that offers transparency and accountability in School District operations to rebuild faith in our schools for students, teachers, families, and all interested parties. In this spirit, I am pleased to be considered to serve on the new Board of Education. I am part of a four-generation Philadelphia public school family with a public-school family tree that includes a few South Philadelphia Rams, an Olney Trojan, a Germantown Bear, Northeast Vikings, and Central Lancers. My wife and I are proud to say that Philadelphia public schools have worked for our family. But, we are also acutely aware of the fact that our children are lucky that their family could choose a neighborhood with the best public-school options in the city and fortunate to have the kind of out-of-school support that has helped them to achieve academically so they have been accepted into the city’s most-selective schools. Given the current debate surrounding the future of schools in Philadelphia, I believe that this is an ideal time to introduce more credibility, transparency, and accountability for public education in Philadelphia as part of our city’s ongoing efforts to make Philadelphia a preferred place to live, work, and visit. I would be honored to use my experience in non-profit leadership, government innovation, and civic entrepreneurialism to help lead the School District into a future where our schools serve as an asset to the citizenry and a selling point for the City of Philadelphia. My background and experience make me a compelling candidate for Board membership. My experience in city government, civic activism, and electoral politics provide me with keen insights into how public systems work (and fail to work) for our citizenry. I am a passionate believer in the value and power of a public education and have been an outspoken advocate for ending divisive "how-public-is-your-school" debates, focusing discussions about education instead around improvements that can benefit all children and their families. As a non-profit executive with experience leading local and national organizations and serving on many successful boards, I am an exceptional communicator and effective manager, and I excel at facilitating important work by teams of professionals in a mission-driven environment. As the inaugural Executive Director of the National Education Technology Funding Corporation, I gave life to an idea and enabled some of the nation’s most prominent education-advocacy associations to realize a long-term goal of establishing an entity to help school districts connect to capital-funding resources. As the founder of the non-profit citizens’ organization, Philadelphia Forward, I established an entity to promote civic engagement and used new-media conduits to involve Philadelphians in successful public-policy advocacy. As the former Director of Financial and Policy Analysis for the Philadelphia Office of the City Controller, I managed a staff of five in analyzing the performance of government agencies and city public finance and literally wrote the book – "Philadelphia: A New Urban Direction" (Saint Joseph’s University Press, 1999) – on the policy solutions that can make Philadelphia a preferred places to live, work and visit. As a candidate for City Controller in Philadelphia, I gained an appreciation for the need to connect policy to people to facilitate real change. 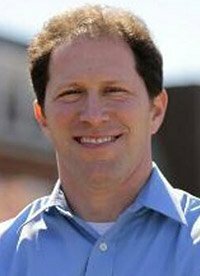 One prominent feature of my campaign was a completely transparent and open-source expression of Philadelphia’s city budget, which captured the imagination of citizens, media representatives, and government insiders as it demonstrated that we can deliver accountability and fiscal responsibility as we spend public money. In all my professional engagements, I have demonstrated an ability to build coalitions and networks, create compelling informational campaigns, and use the power of public ideas to make real change. I am confident that I can make a positive contribution to the city as a member of the School District Board of Directors in its critical mission to improve public education in Philadelphia. Thank you for the opportunity to submit these materials for review. I would be very pleased to speak further with you about the position and can be reached any time at 215.380.4120 or brett@libertynet.org. I am in a Philadelphia public school every week as a coach for the Odyssey of the Mind creativity competition. In fact, I have two teams competing in the Southeastern Pennsylvania Regional Tournament this Saturday. After months of work thinking and developing a solution to a long-term problem that challenges students to tinker, engineer, perform, and create art as part of a comprehensive performance, my guys will get a chance to show off the incredible things they put together this year. As always, I go into competition impressed with their work but nervous about the competition they will face. I offer them a comment as a heartfelt appreciation of their hard work before each competition: "I hope I get to see the performance of the team that beats you because they are going to have to be something extra special to do it." Similarly, I look forward to seeing the new school board that beat me out for the position. Collectively, they must have an extra special commitment to Philadelphia’s public schools.